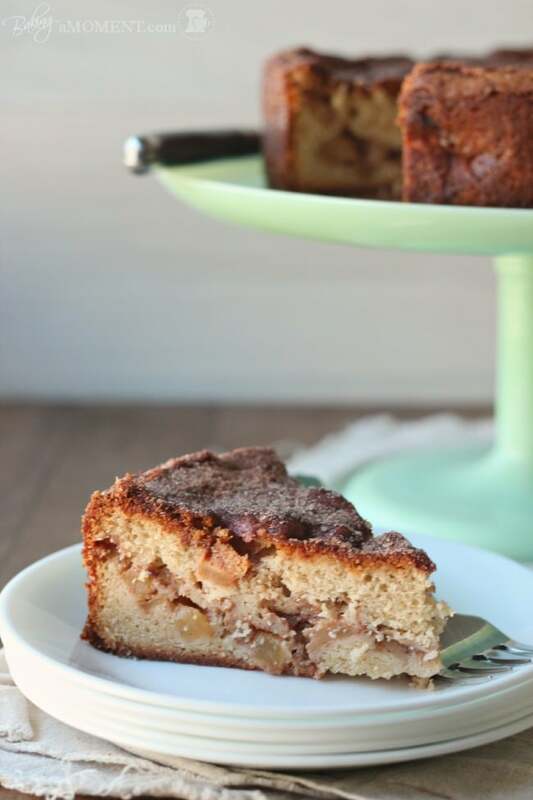 A traditional Jewish apple cake, enriched with cream cheese, and infused with the toasty, nutty flavor of brown butter. Perfect for Rosh Hashanah! We laid my Grandmother to rest two weeks ago. But don’t feel bad for me, ok? It was not a sad occasion. She told me so herself. I will miss her, don’t get me wrong. She was a sassy lady. And a lot of fun. She loved Frank Sinatra, and cats, coral lipstick and Toujours Moi, and mafia movies, and she always had a layer cake on the table for Sunday supper. She lived to be 86 years old. Anyone who knows me personally, knows that some of my dearest loved ones were taken from me way too soon. But my Grandmom had a long and full life. She’d made countless lifelong friendships. She was the doting owner of many fluffy (and a few scruffy) pets. She had four children, eight grandchildren, and eight great-grandchildren. Her illness was just long enough for her to say her goodbyes, but not so long that she suffered too much. She felt ready. And she passed comfortably and peacefully from this world. We celebrated her beautiful life, and the memory of her, with a lovely luncheon, where all of her loved ones gathered together. She would have loved it. I could feel her smiling the whole time. It’s one of the greatest things about being a food blogger. People want to give you their most treasured family recipes! It happens to me a lot, and it makes me feel really honored. I really hope I’ve done ya proud here, Flo! 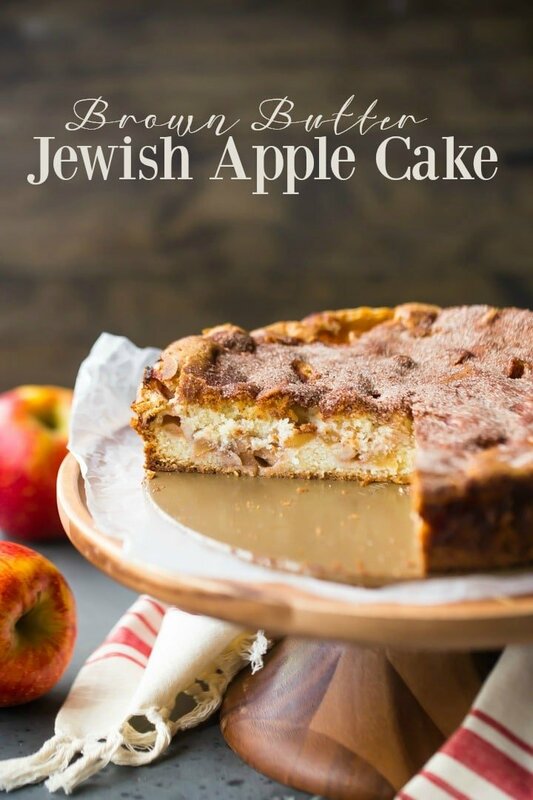 WHAT MAKES THIS JEWISH APPLE CAKE DIFFERENT? I’ve only made one minor little tweak to the recipe I was given, and that was to brown the butter. It’s just so trendy right now, I couldn’t resist! And it’s popular for good reason: the flavor is phenomenal. 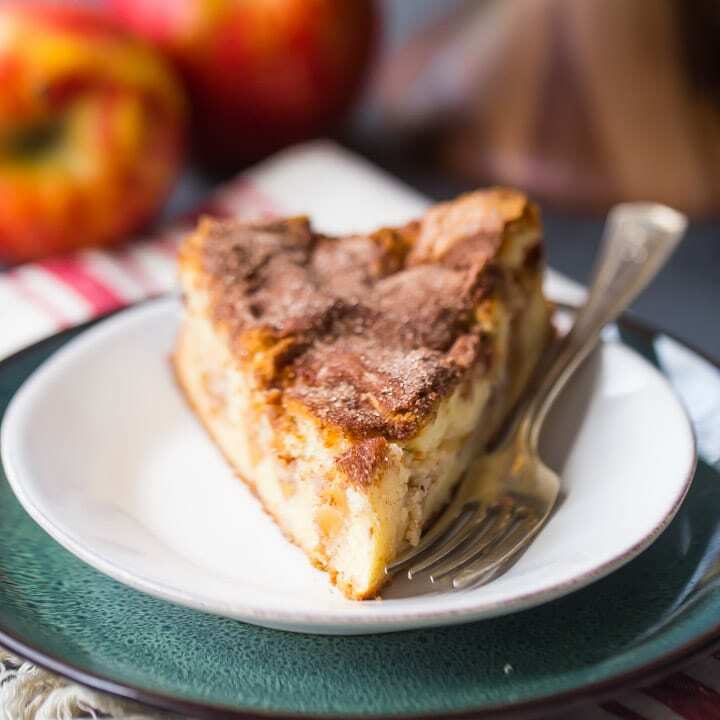 I especially love that toasty flavor for fall, and it pairs so beautifully with softly cinnamon spiced apples. 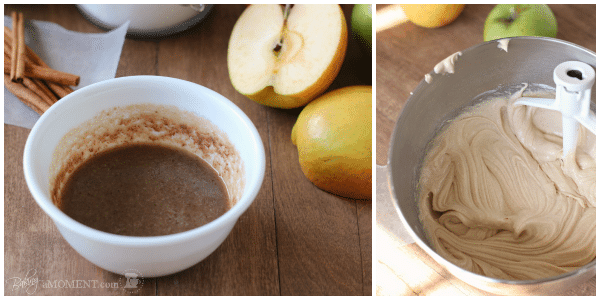 I’ve chosen to share this recipe today, because we are coming up on the Jewish high holidays, and it’s traditional to celebrate Rosh Hashanah (the start of the new year, according to the Hebrew calendar) by eating apples. Flo insists on Rome or Jonathan apples, specifically. Listen to your Grandma. Or your Grandma’s best friend, as it were. And the cake is baked in a springform pan. Not a bundt! I thought that was kinda different, but you know what? 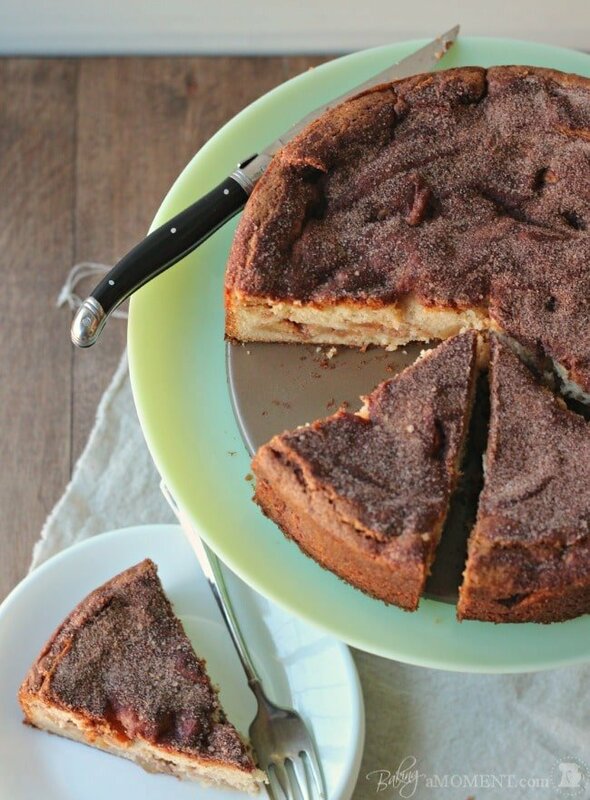 Just gaze upon that cinnamon-sugary, craggy-crust. Heaven! 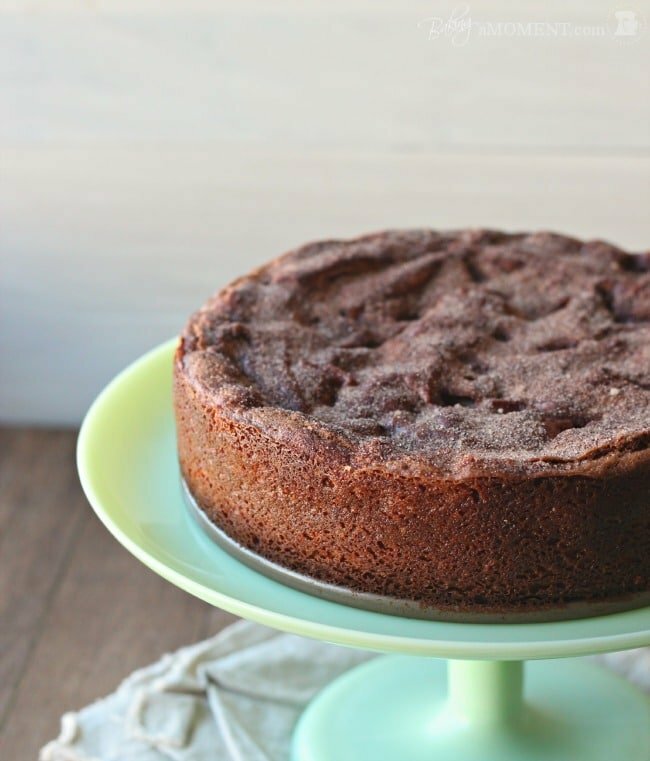 And the cake itself is so dense and moist, and just bursting with juicy apples and toasty, buttery goodness. What a delicious way to start the new year! L’Shanah Tovah (Happy New Year), to Flo, my dear husband and his family, and all my Jewish readers! May your upcoming year be happy, peaceful, and full of rich blessings. 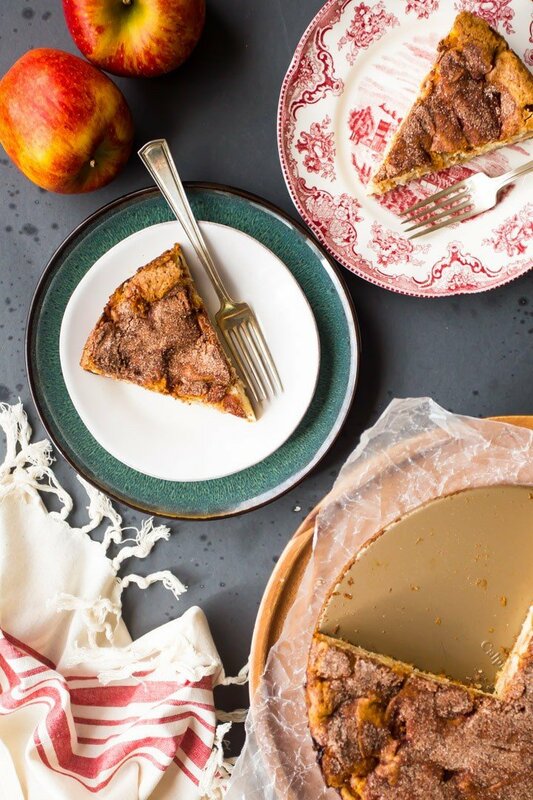 A Traditional Jewish Apple Cake, enriched with Cream Cheese, and infused with the Toasty, Nutty Flavor of Brown Butter. A Perfect Dessert for your Rosh Hashanah Celebration. 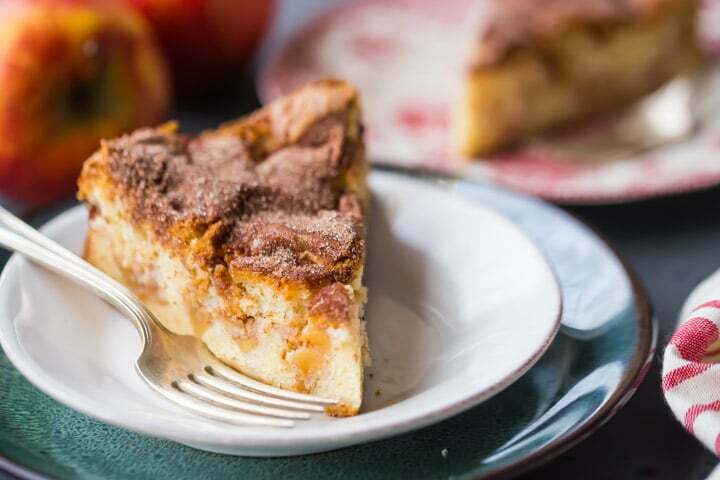 Toss the chopped apples in 2 tablespoons of the cinnamon sugar, reserving the rest for topping. Preheat the oven to 350 degrees F, and grease a 9-inch springform pan. Melt the butter in a medium skillet, over medium heat. Continue to heat the butter, watching carefully, and allowing it to sizzle/crackle, and turn a warm brown color. Immediately transfer to a small bowl, to halt the cooking process, and allow to cool to room temperature. Beat the cream cheese together with the browned butter, until creamy. Mix in the sugar and vanilla extract. Finally, mix in the flour, baking powder, and salt, until just combined. Scrape the bottom and sides of the bowl, making sure all of the ingredients are well incorporated. Pour ⅔ of the batter into the prepared pan, and layer the spiced apples on top. Spread the rest of the batter over the apples, and sprinkle the remaining cinnamon sugar mixture evenly over the top. Bake for 1 hour and 15 minutes, or until a cake tester inserted in the center of the cake comes out with a few moist crumbs. I’m glad you had your nana around for a long time! Mine passed away before I was born. This cake looks amazing, and I’m sure it tastes just as good! Since the recipe calls for dairy and flour, what makes this a jewish cake? Hi Becky! 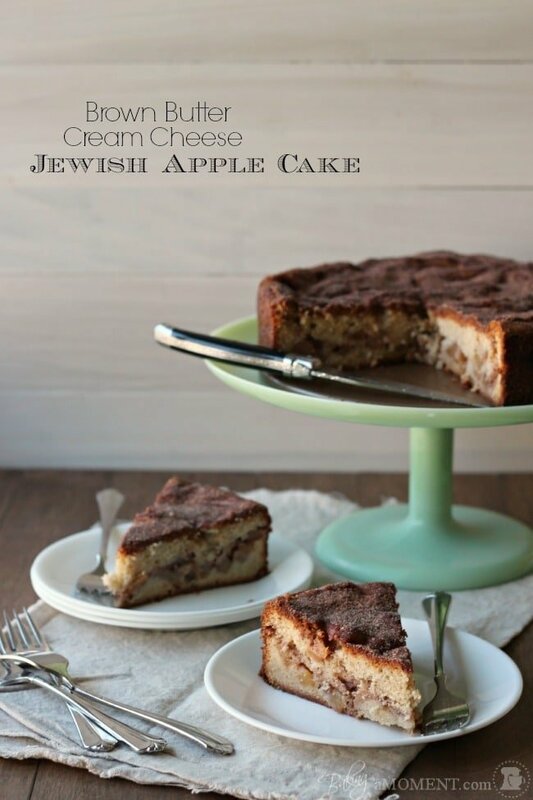 I’m not sure why they call it a “Jewish” Apple Cake, but it’s just always been the name it goes by. Maybe it’s a regional thing? Not sure, but I do know you can always get a slice of it at every Jewish deli in the Philadelphia area, as well as on the dessert table of every Jewish bubbe! There’s also the tradition of Passover, which is a week long observance of faith (usually in Spring) where leavened breads & baked goods are avoided. Many times flourless cakes and cookies, such as macaroons, are eaten at this time. You can read more about kosher dietary laws here: http://en.wikipedia.org/wiki/Kosher, and more about Passover here: http://en.wikipedia.org/wiki/Passover. Or feel free to teach me something new, I don’t claim to be any kind of expert on this type of thing! Jewish apple cake is normally made with oil, not butter, and therefore can be served after a meat meal. What a beautiful experience, Allie! And how luck you are to gain this treasured family recipe for your baking arsenal. Brown butter makes life so much better. 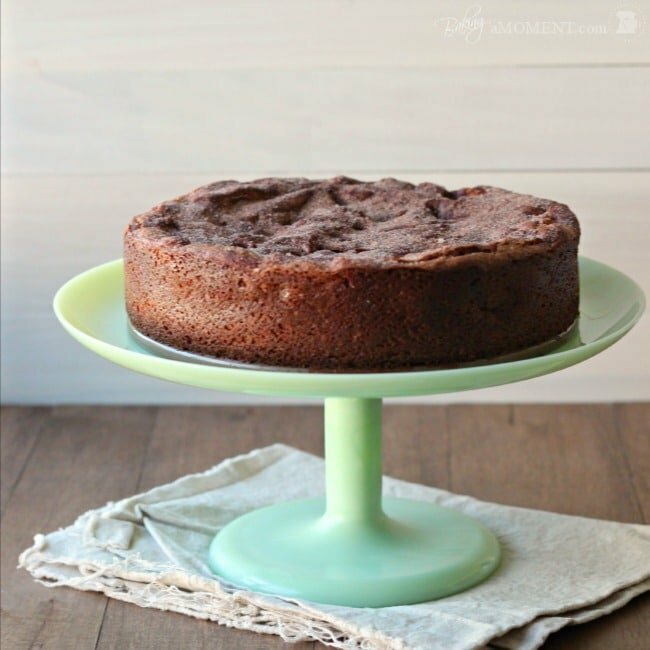 I have had my eye on a few apple cakes (I just borrowed the Smitten Kitchen Cookbook from the library) and this one is going on my list! This is a perfect cake for fall. And I agree you have to listen to your Grandma (or Grandma’s friend in this case). I’m glad you got to celebrate your Grandmother’s life and you are doing well with the loss. Love it! Can’t wait to taste! Great job honey! What a lovely cake Allie, I’m sure your Grandma was right there alongside you as you created it. It looks delicious. She would have loved it, I’m sure! Thanks, Laura! She was definitely one of a kind! And yes, old, tried and true recipes are so awesome, especially when they come from friends and family. Thanks so much for the sweet comment, Kayle! I bet this cake was amazing because it sure looked like it was. ((Hugs)) to you Allie. I’m sure your grandma would be so proud of you! Aw, thanks for the sweet words, Liz! This looks amazing. Browned butter, apples, and the fact that it was handed down to you from your grandma’s best friend all make me wanna make this. Yum! Pinned. Thanks, Rachel! I know, right? Grandmas have the best recipes. This one’s definitely a winner! I hope you enjoy it, and thanks for pinning! What a beautiful cake, Allie! I’m sure your grandma and Flo would have loved it. And you used brown butter instead of plain one. Like, you’ve just won my heart: that stuff is heavenly, HEAVENLY I say. I first tried a couple of days ago and now I can’t stop adding it to everything. It’s so so good. This will go to my baking bucket list… I must make it now! This is one of my favorite cakes. We’re not religious but I’m definitely a fan of anything apples-and-honey, so I like to acknowledge Rosh Hashanah through food 🙂 I am so excited to give this a try! Such a beautiful post honoring your grandmother! What a lovely tribute. I remember making the Jewish Apple cake that Grand mom use to make. It had a very heavy batter and I blew out a hand held mixer I was using. It was very good but the batter was hard to mix. I will try this receipt. This looks delicious! You grandma was one lucky lady to have her as a best friend, especially if she brought this to the table every once in a while. The cream cheese in this is probably awesome, great pictures Allie. 🙂 Thanks for sharing at Show Stopper Saturdays! Allie, this cake sounds amazing. I wish I had a slice in front of me right now! This looks amazing! I made a honey cake for Rosh HaShanah, but I will definitely be making this soon and keeping it on hand for next year. I’m so glad I saw your link on Show Stopper Saturday. Oh, me too, Lauren! So happy you like the recipe! I hope you and your family enjoy it next year! Thanks so much for stopping by! Brown butter in my opinion is one of the greatest creations ever!!!! It just takes everything to the next level! Your description about your grandma is just so touching! Beautiful post and I’m soooo glad I came across your blog! Thank you so much, Samina! I’m so pleased that you enjoyed the post, and I totally agree! Brown butter makes everything better. I’m so happy you dropped by, hope to see you again soon! Allie, this cake looks stunning! I love love the color of the top crust! What a beautiful, beautiful cake Allie! Love that it’s made with brown butter too – amazing! Pinned! It’s my pleasure, Liz! Thank you for reading my blog and leaving such a sweet comment. I hope you enjoy the cake! Love this cake. I’ve made a version of it before, but this sounds like it would me very moist. Thanks for sharing. Drop by my kitchen. We’re featuring Apples this Saturday at Saturday Dishes with Paula and Savannah. Hi Allie, Saturday Dishes starts at 900PM on Friday 9/13. 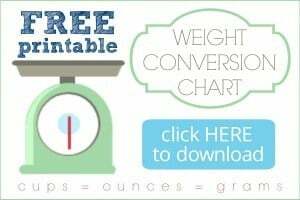 http://www.tumbleweedcontessa.com/blog. This cake sound wonderful and what a great way to honor your grandmother! I will definitely have to make this cake! Thank you so much for sharing! I made this yesterday and between me, my boyfriend and my housemate there is only a tiny slice left (and only because I promised to save some for a friend)!! Absolutely delicious. 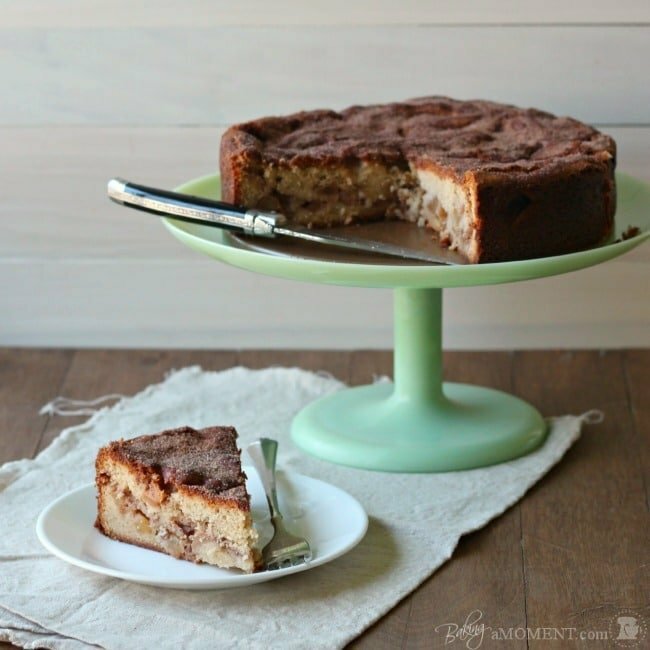 It reminds me of a German apple cake recipe my aunt gave me, but the cream cheese really makes it in this one! Mine didn’t come out that beautiful dark brown colour (sorry, Australian spelling!) like yours – perhaps more cinnamon on top next time? I made this and it was awesome! Thanks for the great recipe. That apple cake was delicious. My son had two pieces and he never eats much cake. I loved the brown butter the moist cake and the cinnamon crunch topping. Much better than the one with oil and orange juice. My pleasure Lynn! So happy you enjoyed it. Thanks for the positive feedback! I made this cake twice and it was the best apple cake I’ve ever made. I’m making it tomorrow for Super Bowl Sunday. I’m so happy you like it Eleanor! Thank you so much for the positive feedback! What a beautiful tribute! She sounds like someone I would have loved to have met. She’d be so proud that you honored her this way. And the cake sounds AMAZING!! I’ve never met an apple cake I didn’t want to devour! This one is a winner! What a wonderful way to celebrate your grandmother! 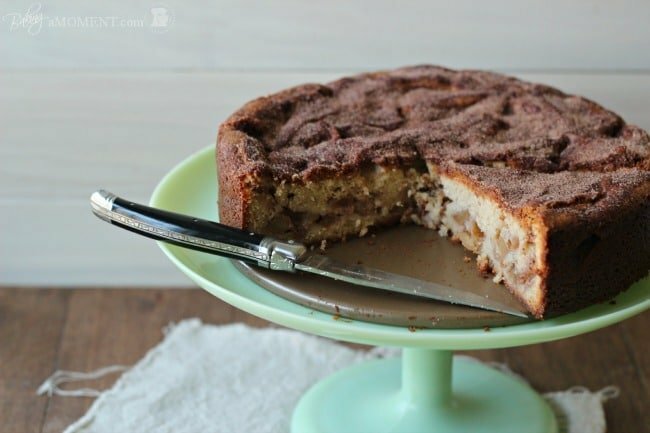 This apple cake looks amazing! 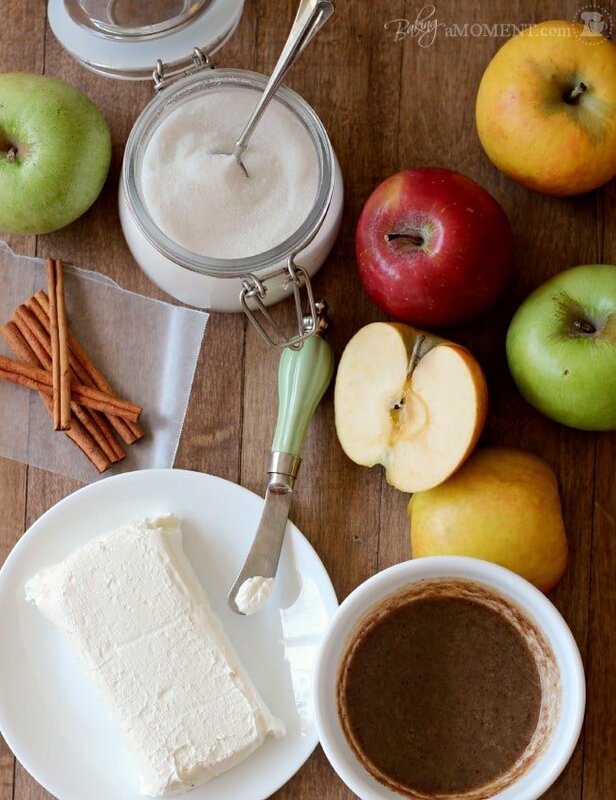 This recipe has it all- brown butter, cream cheese, and apples! It’s fall in a cake- which I am a huge fan of. I bet your house smells amazing when this is baking! The brown butter makes this cake extra tasty! GRRRRRL. You had me at brown butter. Dear Allie…I made this amazing cake … and I have to say that this was the cake that I always liked in the dreams and I enjoy … I thank you for the magic of the order … always be happy and shining. So happy you enjoyed the cake recipe Nargess! Hi Nargess! I’m not sure I totally understand, have you made this cake before and it was not dry? And just this one time it came out dry? Or has it always been dry for you? Ah, I see! Well the top layer of the cake is meant to be crunchy and crisp. What you are describing sounds right. It’s always like that when I make it too.